This is a set of emergent readers and literacy-math activities for the month of May! BEEEEE on the lookout, as I may add another set or two of emergent readers to this BUNDLE! 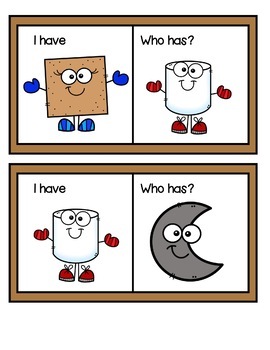 Start building up your reader libraries with these easy to teach mini units! 280 pages of Summer Themed Emergent Readers and Supporting Materials for each of the themes included! 12 Emergent Readers are Included in this BUNDLE! This set all about ladybugs! Perfect little mini unit for spring and your bugs and insects themes! You will love this math infused literacy unit all about ladybugs and counting! The focus on this set is counting to ten, numbers to ten and number words one-ten! I have listed it as a pre-k and kinder resource, but you will need to decide if this is the correct level for your students....it would work for special education too! Emergent Reader "Counting Ladybugs": 11 pages with a focus on number words and tracing number words. Counting Ladybug Cards: 30 cards with numbers, number words and ladybugs for counting and matching, sequencing from greatest to least or least to greatest! These work great on a pocket chart too....use them in a large group setting for matching, counting and sequencing! I like to put these cards in a sensory bin with some green easter grass and some tweezers and let the children pick out the cards that match and place them together...when they are done, they can put them back in for the next child! If using the red pompoms add a tweezers for even more fine motor work! Mini Ladybug Counter Cards: copy and laminate to make your own ladybug manipulatives for counting activities and a fun literacy infused math center! The preview shows everything, so you can be sure it is a good fit for your students! Get ready for summer with this fun emergent reader! 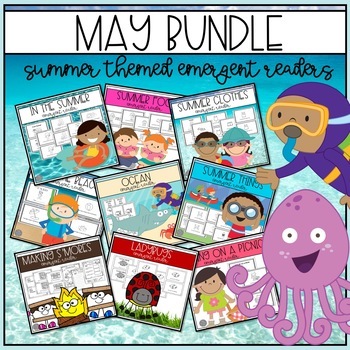 I love this emergent reader for the last few days of school...it is a fun way to talk about summer plans and things the kids like to do in the summer! PRINT STAPLE AND GO TEACH! I designed this reader with a focus on summer verbs. 15 pages of summer action pictures with the sight words I,can,go,in and the. The last page in the reader is for the children to write and draw something they like to do in the summer. This is an emergent reader with a focus on summer nouns. There are 15 pages in the emergent reader. The sight words and word pattern is: I can see the _______(summer noun). I have included a full sized coloring book with text to match the emergent reader! I love this for the week leading up to summer holiday....or for a summer school class activity! This is great for ESL teachers and SLP too! Lots of opportunity to learn and reinforce summer language-vocabulary! 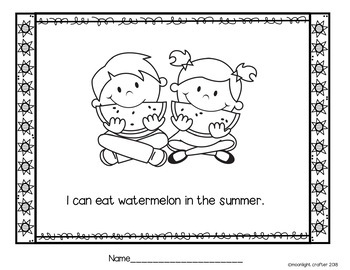 Summer themed emergent reader materials with a focus on summer foods. I can eat a _____________ in the summer. The last page of the book has a space for children to color, draw and write what they like to eat in the summer. 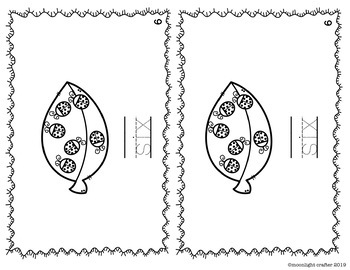 I have included a set of summer food coloring pages that have text to match the emergent reader for extra reinforcement! Repetition is so important for little readers! Great for your weeks leading up to summer break! Great for SLP summer classes or ESL summer school classes! Great for Summer Reading Programs! Great Life Skills Sorting Materials and Emergent Reader with a Summer Clothing Theme! I can see the __________(summer clothing). Work on some sorting and classification activities with an "At the Beach" theme! Includes an Emergent Reader with an..."I can see a ______ at the beach" repetitive theme. The Emergent Reader is 11 pages long and the last page has a space for the students to write and illustrate: What do you see at the beach? Great for language and vocabulary work!! I've also included two pocket chart header cards for at the beach and in the snow...just in case you would rather do the sorting on a pocket chart! Summer and Picnics....they are two of my favorite things! Perhaps you are planning a picnic for the end of the year? This set would be a perfect addition to your picnic plans! TWO emergent readers, Make a List Printable with two options, Coloring Pages with a picnic theme, Class Graphing Materials and Recording Sheets and a Label the things at a picnic printable! Emergent Reader #1 Let's Go on a Picnic (with a "what should we pack?" theme) 11 pages with lots of good picture support and easy to read fonts combined with a text that is predictable make it perfect for your little readers to have success! Let's Go on a Picnic Printable: Make a list of what you would pack in the picnic basket! This one has a little more text! All about things you see and do on a picnic! re you doing an OCEAN theme? Use these materials with ANY BOOK about the ocean or ocean animals! Includes a suggested book list! Emergent Reader with the "brown bear rhythm"
Also includes game cards for I Have Who Has? Card Game with 2 OPTIONS FOR PLAY!!! FUN STUFF TO ADD TO A CAMPING THEME OR AS AN ADDITIONAL ACTIVITY IF YOU ARE MAKING S'MORES IN THE CLASSROOM!